Following an encouraging display of speed, fitness and determination at the opening round of the FIM Motocross World Championship, Monster Energy Yamaha Factory MXGP’s Jeremy Seewer and Monster Energy Wilvo Yamaha MXGP’s Gautier Paulin and Arnaud Tonus are confident they can move up the leader board this weekend at the spectacular circuit of Matterley Basin, in England, where round two of the MXGP series is set to take place. Australian Dean Ferris will also join the trio on the gate in the premier class. He will race a Monster Energy Yamaha Factory MXGP backed YZ450FM in place of Romain Febvre who underwent a successful operation to repair his broken Talus last week. After a solid top five start to the season in Argentina, Monster Energy Wilvo Yamaha MXGP’s Gautier Paulin was excited to return to Europe where he could resume his testing duties. The Frenchman is putting in a serious amount of work both on and off the bike, and is looking forward to reaping the rewards as the season ticks over. He is currently 3-points shy of the top-three. 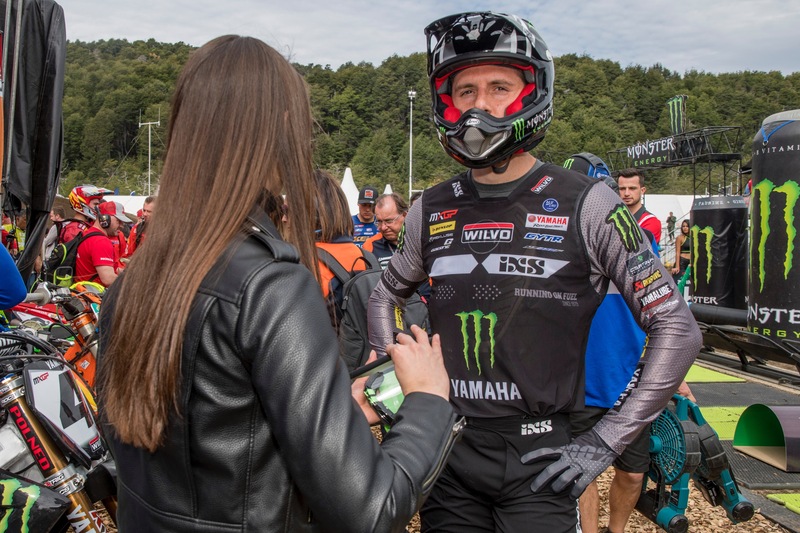 Monster Energy Yamaha Factory MXGP’s Jeremy Seewer is still on the road to recovery after suffering a severe lung infection in the winter months. The 24 year-old Swiss rider managed to grind his way through the season opener, despite spending only three-weeks on his YZ450FM prior. He is currently ninth in the championship chase, but is hoping for more at Matterley Basin, a track he rates as one of the best. There were a lot of thrills and spills in Argentina. Both Monster Energy Wilvo Yamaha MXGP riders fell spectacularly. Arnaud Tonus’ crash in Race 1 was heart-stopping. On one of the fastest sections of the track, the number ‘4’ made a small mistake, went off-line and clipped a bank at speed. He was thrown from his YZ450F faster than he could blink and was very lucky to come away unscathed. After the frightening incident, Tonus lined up for Race 2 and finished tenth, which was a huge mental accomplishment. Despite being sixteenth in MXGP Championship Standings, Tonus is confident he can significantly improve that result this weekend with the Grand Prix taking place at one of his favourite venues. The Swiss sensation has gone on record to say that the Matterley Basin circuit suits his riding style and is a track he loves to race on. This weekend, Dean Ferris will start his three round stint inside the MXGP World Championship as a substitute for Febvre. The Australian is currently looking for new challenges and looks forward racing a Monster Energy Yamaha Factory YZ450FM as he tests his skills against the best in the world. The second round of the MX2 World Championship coincides with the MXGP World Championship. Monster Energy Kemea Yamaha MX2’s Ben Watson looks forward to racing on home turf where he hopes to entertain the crowd with a podium performance. The Briton is currently sixth in the championship chase, while his teammate Jago Geerts is eight in the standings, and hopes for much of the same. The opening round of the EMX250 Championship will also take place at Matterley Basin this weekend. SDM Corse Yamaha EMX250 will line up with Gianluca Facchetti, Ruben Fernandez, Rick Elzinga and Caleb Grothues. MJC Yamaha’s Thibault Benistant will join them, as he steps up to bigger class after winning the coveted EMX125 title in 2018. All five youngsters will be racing GYTR kitted YZ250F machines. December 10, 2018 Michael Le Pard Uncategorized Comments Off on BMW Group as partner of the fourth edition of Kochi-Muziris Biennale 2018. BMW Art Talk about “Art in Difficult Times”.